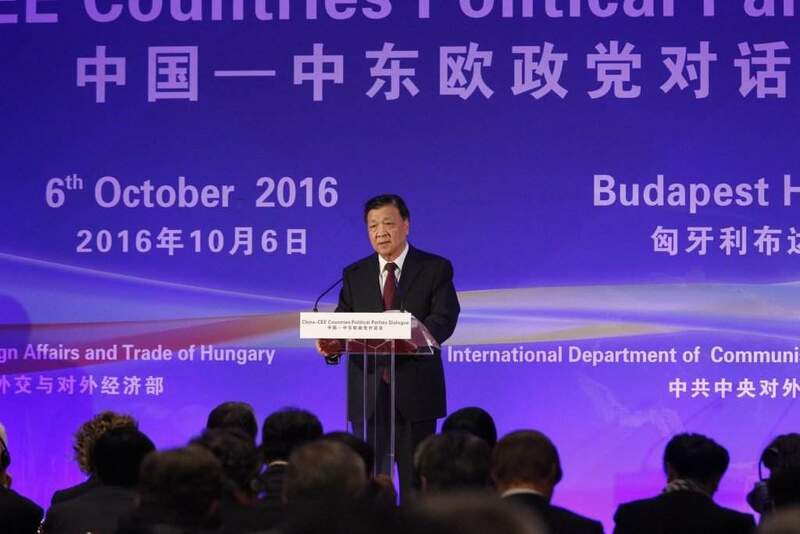 Budapest, October 6 (MTI) – The time has come for central Europe and China to elevate their relations to the level of strategic partnership, the Hungarian prime minister told a conference on Thursday. Speaking at the event dubbed Dialogue between China and political parties in central and eastern Europe, Viktor Orbán said that such a partnership could be signed next year. In his address, the prime minister argued that central Europe and China were mutually interested in the success of the other partner. He said that “mankind cannot be successful unless its largest country is successful” and added that central Europe was a “great hope for the future” as “the most dynamically developing region” in Europe. Hungary is committed to such a partnership as well as to rebuilding the Silk Road, Orbán said. The link between central Europe and China combined with business cooperation will ensure the flow of goods, and the Budapest-Belgrade railway link is being built accordingly, he said. 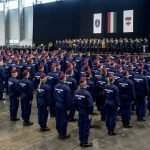 “Hungary does not support exporting political or economic systems,” Orbán said. 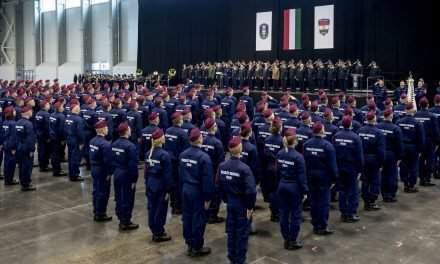 Hungary respects the political systems of other countries that express their national character, Orban said, adding that “China’s political system is up to the Chinese, while Hungary’s is up to Hungarians.” “Nobody has the right to interfere as a self-appointed judge,” he said. Concerning Hungary-China ties, Orbán said bilateral trade turnover had grown 2.7 times last year, whereas the first seven months of 2016 had seen an 80 percent increase. The prime minister also noted that Hungary had submitted its membership request to the Asian Infrastructure Investment Bank. 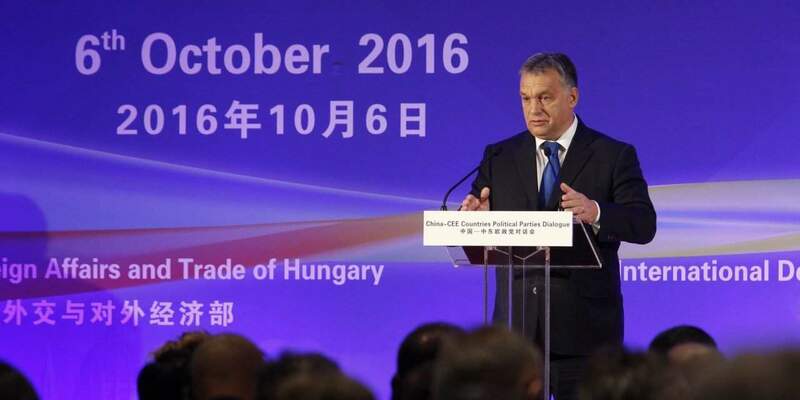 Hungary is ready to host a central Europe-China summit in the second half of 2017, Orbán said. Senior Communist Party of China (CPC) official Liu Yunshan noted the CPC and the Chinese government’s appreciation for central Europe cooperation. Mutual respect and political confidence have been instrumental in building these ties, he added. The Chinese politician called coordination of development strategies crucial, adding that economic ties should focus on deals yielding mutual benefits. Later in the day Liu held talks with House Speaker László Kövér. 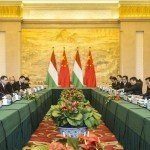 Parliament’s press office quoted Kövér as saying that Hungary is committed to further developing friendly ties with China. 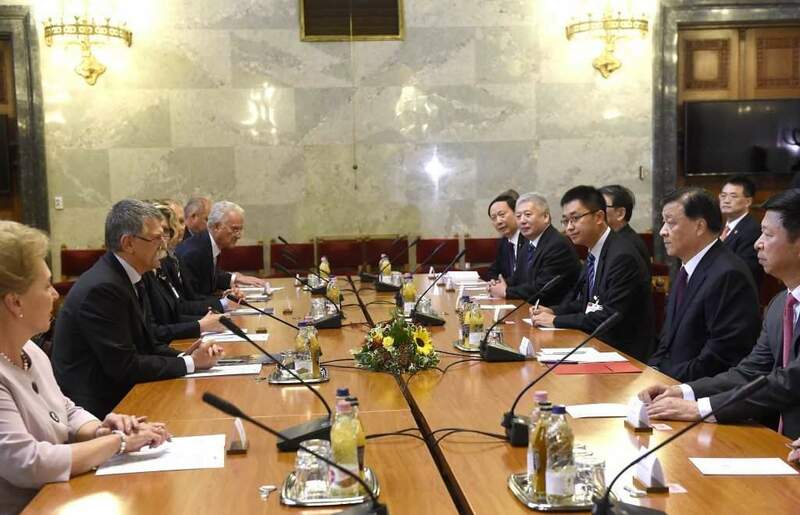 He noted that ties between the Hungarian parliament and China’s National People’s Congress and the Chinese People’s Political Consultative Conference are also becoming stronger. Liu thanked Hungary for being the first European country to join China’s One Belt, One Road initiative aimed at establishing a link between East Asia, the Middle East, Africa and Europe. He presented to Kover an invitation from Zhang Dejiang, Chairman of the Standing Committee of the National People’s Congress. 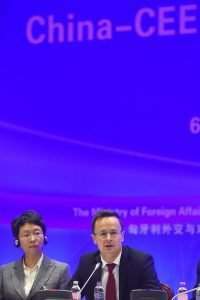 Europe must be open to outside partners and allies and not be inward-looking, Foreign Minister Péter Szijjártó said at a conference on Chinese ties on Thursday. Central European countries have always known the rational choice is to build up cooperation with China and the Asian region as this also serves Europe’s interests, Szijjártó said. In these “exciting times that we are living in”, both the EU and the western Balkans face historic challenges created by migration, he said. 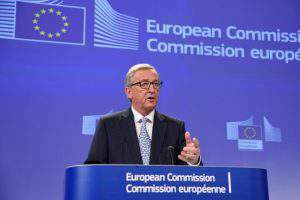 Further, the EU’s economic woes are exacerbated by Britain’s exit from the bloc, he said. The war in Ukraine, energy security issues and EU-Russian relations present other challenges, he added. 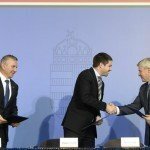 Global trade demands that free trade deals are signed and regional cooperation forged, and the EU cannot afford to be left out, as this would hurt its competitiveness, Szijjártó said. Recently, the EU conceded that central European cooperation with China is useful, he added. 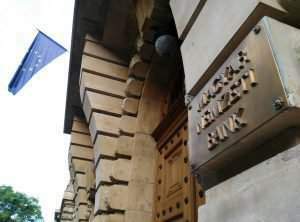 On the subject of Brexit, Szijjártó said the UK’s competitiveness had been affected by its decision to leave the EU, since many non-EU investors were looking for partners within the bloc. “Our western European friends are obviously not happy that China is forging closer ties with central Europe,” he said. 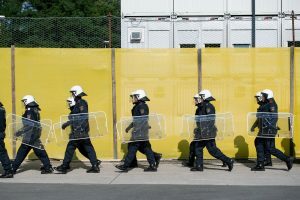 Yet Chinese financing for infrastructure investments in central Europe is a pan-European interest, especially given dwindling EU funds for such purposes.